With the complex, interwoven technology stacks that power the modern enterprise, there is almost no problem that a single team can resolve by themselves. Managing, maintaining, and responding to issues in these environments demands much more than a mere alert — it requires communication, collaboration, and integration. In this agile, DevOps, speed-is-value world, the alert is the beginning of the resolution process, not the end. 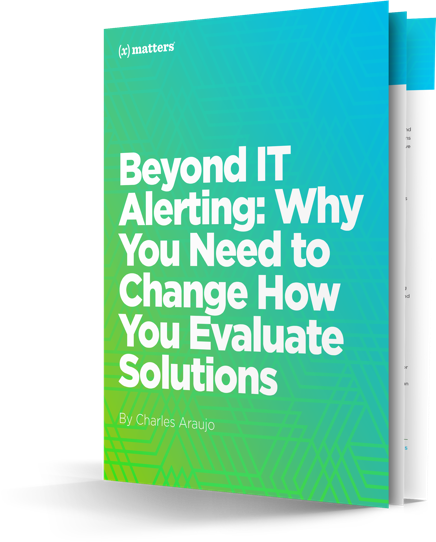 As organizations evaluate ‘IT Alert’ solutions, they must, therefore, look beyond alerting and focus on several key attributes that will help them communicate and collaborate to respond and resolve issues at the speed of the modern enterprise.